We’re hours away from discovering the winners of the 70th Primetime Emmy Awards; you’ve seen our choices for the Acting categories (here and here) – both the drama categories and the comedy/miniseries combo – so now is as good a time as any for us to plant the flags for Programs. Our team of writers could throw their support behind up to three of the nominees from the Outstanding Comedy Series, Outstanding Drama Series & Outstanding Limited Series categories. Who comes out with the most love? “Considering the series-best moments that were Game of Throne’s Season Six’s ‘Battle of the Bastards’ and finale episode, it was always going to be difficult to maintain that impressive momentum going into Seven. However, Game of Thrones Season Seven brings what Six was lacking: a clearer sense of focus and unity of storyline. This series started with a core group of characters, and then flung them across the seas into all corners of Westeros and Essos. While the sprawling nature of this show makes it so great, it can also provide a challenge for viewers to keep track of so many characters and stories. Season Seven still has an impressive ensemble, however by having three main players- Jon Snow (Kit Harington), Daenerys Targaryen (Emilia Clarke), and Cersei Lannister (Lena Headey)- and every character following one of these Kings or Queens, it makes the plot easier to keep track of, and more satisfying to watch. Season Seven sees some fantastic moments from characters we’ve grown to love and hate over the past seven years. Sansa Stark (Sophie Turner) comes into her own this season as a leader not to be messed with. Headey’s Cersei remains a power-hungry dictator, and when placed in opposition with Jaime (Nikolaj Coster-Waldau), her brother/lover with a newfound moral compass, is fascinating and compelling drama. There were so many tense and satisfying confrontations delivered by actors doing some of their best work: Tyrion and Jaime, Arya and Brienne, Olenna and Jaime, Jon and Daenerys, Sansa and Littlefinger, Cersei and Tyrion- the list goes on. 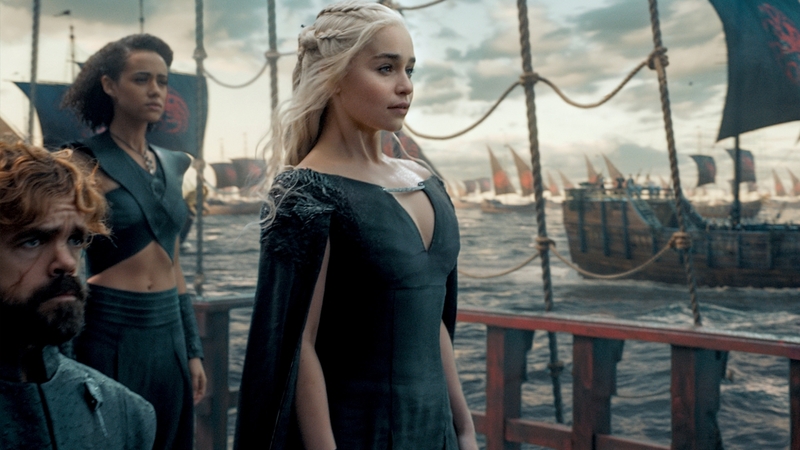 Season Seven brought satisfying, long-awaited reunions, thrilling new alliances, jaw-dropping battle scenes and the heightening power of major players like Daenerys and the Night King. “The Handmaid’s Tale again asserts itself as one of the defining pieces of television for our times. 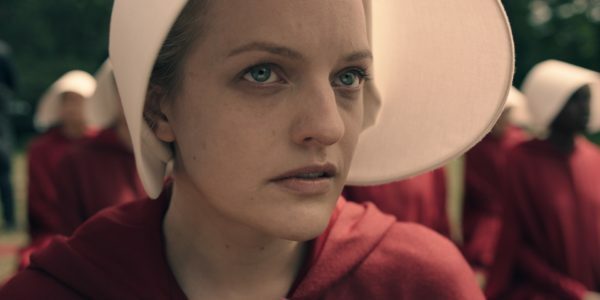 In its second season, the Hulu series continues to tackle timely themes and important issues deep-rooted in our reality, while developing the emotionally profound and complex core unique to June and her journey through Gilead. So very astutely, this second batch of episodes (extended from ten to thirteen) manages to balance a wider scope and broader social commentary with a tight focus that remains committed to the plethora of fascinating characters it has introduced, placing June at the very heart. Expertly led by a frequently-shattering performance from Elisabeth Moss, with terrific supporting turns from Yvonne Strahovski, Ann Dowd, and Joseph Fiennes, the show undeniably captures a zeitgeist while being an extraordinarily accomplished piece in its own right. And, as perhaps the most gorgeous television show on our screens at the moment, the imagery is interlaced so strikingly throughout; it is unbelievably power on a visual level as well. “Since Game of Thrones is one of my favorite shows, and the last season was epic, I’m okay with that winning best drama. In fact, the best dramatic series category this year is brimming with deserving entries. Including, Stranger Things. How do you come back after having an unforgettable first season? By having a second season that still maintains the electricity of its freshman take. 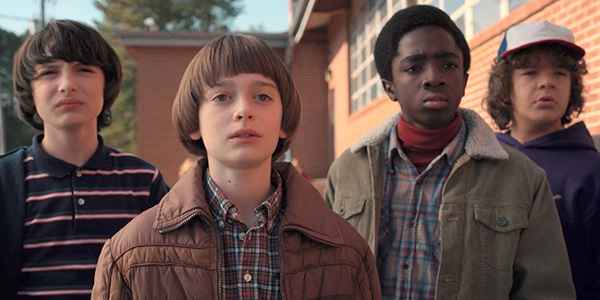 This series captured everything we love about sci-fi and horror mixed with the nostalgia of the 80’s. In season two we got some fabulous additions to the cast with Sadie Sink as Max, Bob (Sean Astin), and Dr Sam Owens (Paul Reiser), as well as all of the returning favorites. Everybody was at the top of their game. “GLOW has definitely earned its spot as an awards contender in the comedy race. 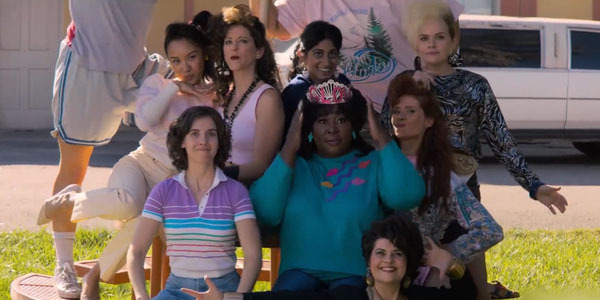 While it can’t always be described as funny, (at times even it can be tragic) GLOW finds humor in life’s darkest moments and utilizes it to bring together an unlikely group of women. It’s one of the rare shows that places its actresses front and center and allows them to air out their dirty laundry for all to see. What’s strange is that the fictional GLOW rises to fame due to its horrendous stereotypes, but the actual show turns stereotypes on their heads. GLOW is inspiring, exciting, and fun to watch. “With Darren Criss favourite to win the Outstanding Performance in a Limited Series for his role as Andrew Cunanan, let us not forget the strength of the show in which it derived: The Assassination of Gianni Versace – the second series of Ryan Murphy’s American Crime Story anthology – is a terrifically-crafted, compelling exploration of the infamous face whose killing spree, including a bullet to the world-famous fashion designer, captivated the world in the 90s. Who do you think should win best series? Let us know in the comments below! The Emmys is broadcast tonight, September 17th 2018, on NBC. This article was originally posted on Film Inquiry on the 17th of September 2018. As it turns out- Game of Thrones did win Best Drama Series- Glad to see the Emmy’s voters take my voice into account! For more Game of Thrones content, see my review of Season 7.